A new study released on Wednesday (6 June) provided new evidence that the EU's 'Euro' emissions scheme has failed to clean up diesel cars. The paper said that 91 percent of all cars approved with a Euro 6 label not only exceeded the nitrogen oxides (NOx) emission level associated with that label, but were even higher than the less strict Euro 5 label which preceded it. It came out just days after the European Commission released to EUobserver additional test results by its Joint Research Centre, which also confirmed that it continued finding diesel cars much dirtier on the road than in the laboratory. Wednesday's study was done by a partnership called The Real Urban Emissions Initiative, or True Initiative. Among the participants is the International Council on Clean Transportation, the NGO which together with a US university tipped off US authorities, leading, in 2015, to the uncovering of the emissions cheating scandal known as Dieselgate. What is new about the True Initiative study is that it has taken data from roadside sensors known as remote sensing: "measuring emissions via spectroscopy as vehicles drive through a light beam". Until now, most on-road emissions controls were done by installing portable emissions measurement systems (PEMS) on individual cars. Remote sensing allows for mass-checking. According to the report's authors, they collected some 750,000 records in France, Spain, Sweden, Switzerland, and the United Kingdom, although that figure also includes vans and trucks, not only cars. 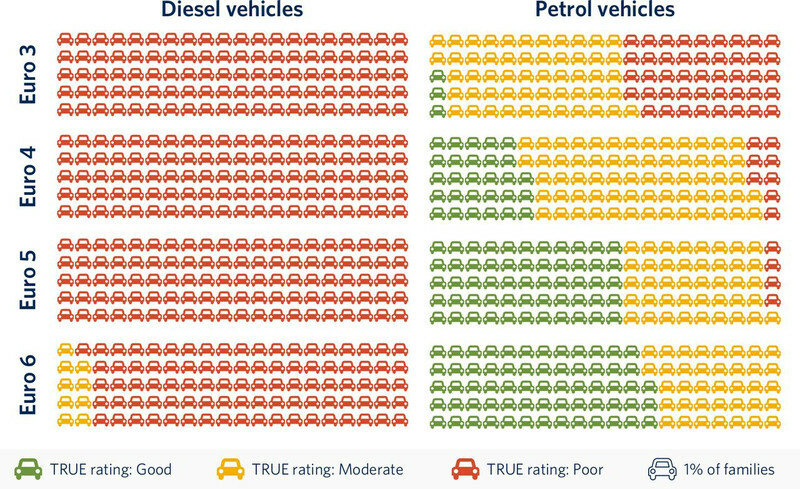 "We have seen a number of PEMS measurements results by now which all pointed in the direction that there are very few, if any, Euro 6 diesel vehicles that perform well under real-world driving conditions," said ICCT's Peter Mock. "The remote sensing data confirms this finding now," he said. Another advantage of remote sensing was that it allowed the researchers to find out about diesel vehicles older than 2009, which have been less the focus of most post-Dieselgate PEMS tests. 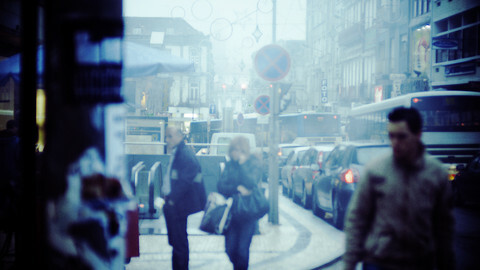 The EU's NOx limits have been made stricter every few years, at least in theory. 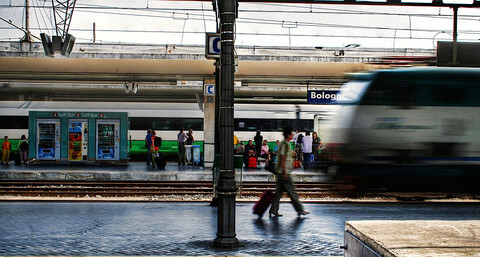 So-called Euro 3 diesel cars - approved before January 2005 - were allowed to emit 500 milligrammes per kilometre (mg/km). 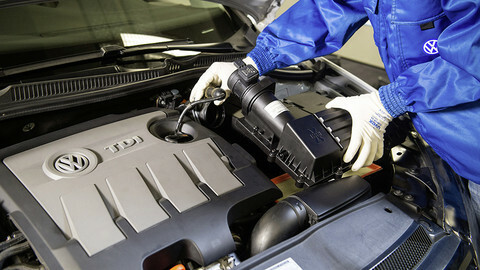 Euro 4 diesels - approved between 2005 and September 2009 - had a 250 mg/km limit; Euro 5 cars (until September 2014) 180 mg/km; and Euro 6 vehicles 80 mg/km. Researchers found that all cars of Euro 5 and older emitted more than 180 mg/km in real life, and 91 percent of Euro 6 diesel cars did. The remaining 9 percent of Euro 6 cars emitted between 90 and 180 mg/km, still breaking the Euro 6 limit but below the Euro 5 limit. The four worst groups of carmakers were Suzuki, Subaru, Fiat Chrysler Automobiles, and Renault-Nissan, the report said. 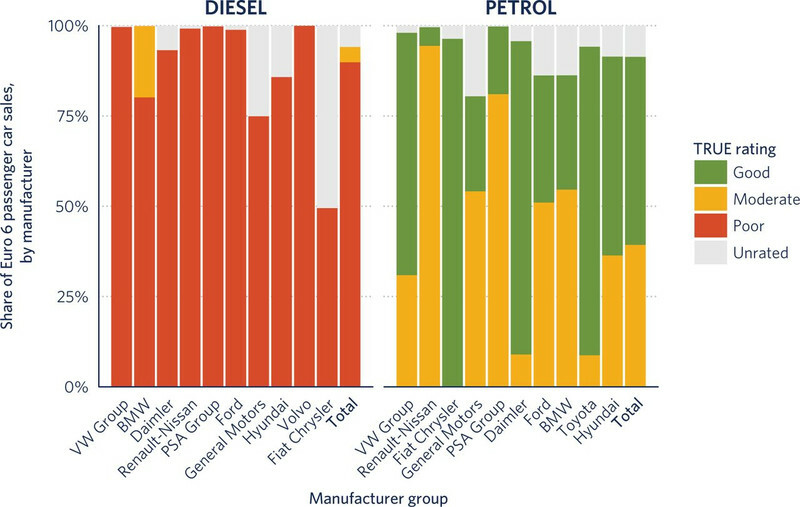 Euro 6 diesel cars from these manufacturers had average emissions of 12 times the limit. "Even the best manufacturer group, Jaguar Land Rover, had average emissions of more than twice the type-approval limit," said the report. The findings confirm a statement made by a high European Commission official internally, three months before the Volkswagen Group (VW) cheating was uncovered. 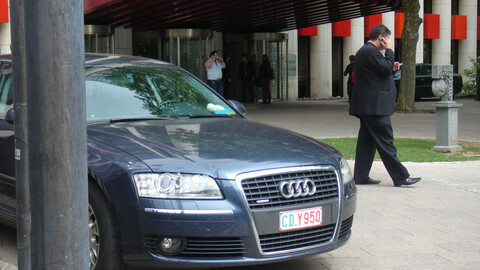 "For the particular aspect of NOx emissions of diesel vehicles the European emission legislation therefore must be considered as an almost complete failure until now," Tomasz Husak, the head of cabinet of industry commissioner Elzbieta Bienkowska, said in a confidential paper EUobserver reported on last year. 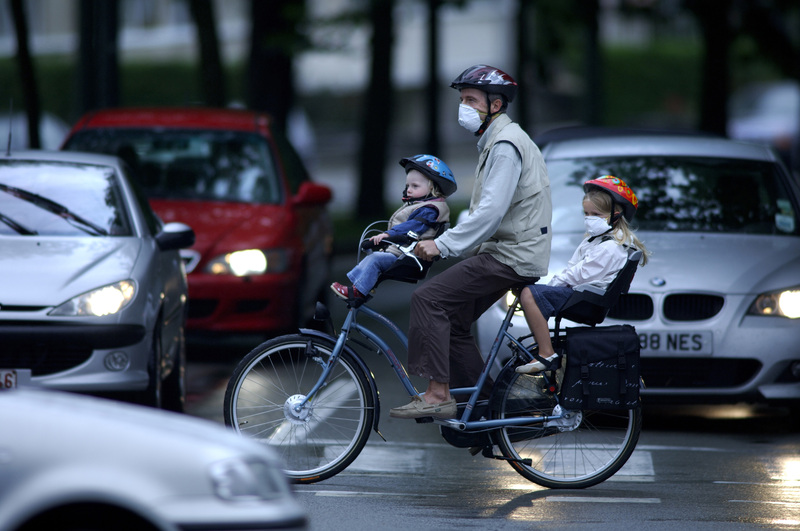 The report came just days after the European Commission's Joint Research Centre (JRC) released data about on-road tests done with PEMS equipment, and laboratory tests that were slightly altered from the normal procedure. The JRC papers were released following an access to documents request by EUobserver. They describe the results of tests done in 2016 on three diesel cars and one petrol car. In an explanatory note, the JRC stressed that for each vehicle model only one car was tested. 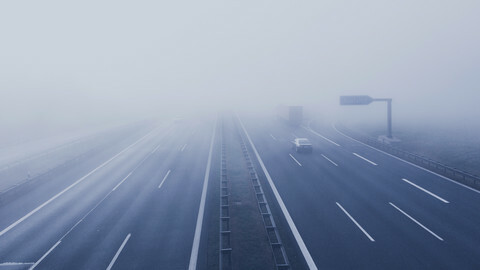 Nevertheless, the results showed that the diesel cars performed several times worse on NOx when on the road, but also when the laboratory test was somewhat altered. The European Commission has also released minutes of a meeting between Volkswagen lobbyist Christof Klitz and several commission officials, held on 1 March this year. The document said that VW had recalled 77 percent of the cars with defeat devices in Europe – even though the German company had promised the commission that the recall work would be done by autumn last year. VW was "confident" that the recall rate "may exceed 80 percent very soon". In response, the commission said that member states had an obligation to make sure that all VW cars that still had cheating devices should be recalled. It said that it was "determined to take the necessary steps to ensure that all member states together with VW reach this target". Three months before the VW scandal broke, a senior EU civil servant said emissions policy was a "failure", but urged commission to put car lobby's interest first. It was independent organisations that flagged up Volkswagen's emissions scandal in the US - yet a legal clause giving such 'third parties' a role in EU emissions testing has been removed from bill. 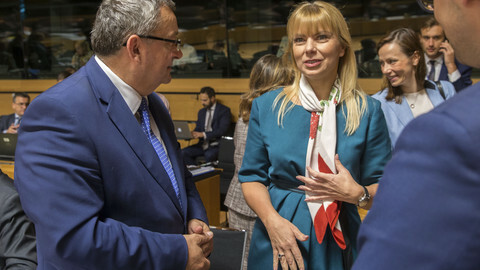 EU industry commissioner Elzbieta Bienkowska invited ministers from 15 EU countries to talk about the aftermath of the Dieselgate emissions scandal. Only two accepted.